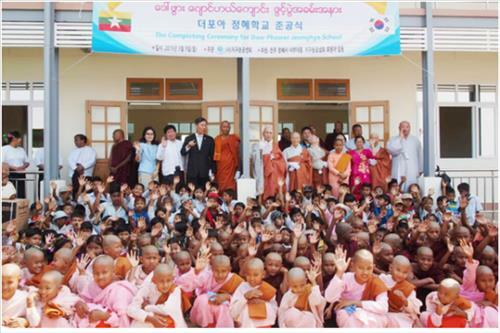 SEOUL, March 12 (Korea Bizwire) — Korean bhikkhunis (Buddhist nuns) and Myanmar citizens have gathered their efforts to build a new school in a remote town near Yangon, Myanmar. 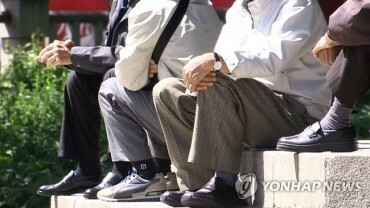 According to an announcement on March 11 from Good Hands, an NGO founded by a Korean Buddhist order, the new school opened on March 9, and is equipped with 12 class rooms, 8 restrooms and water supply facilities. The building will welcome more than 200 students and teachers. The NGO has developed 50 educational facilities in 8 countries since 2003. Bhikkhunis from the Junghye Temple in Jeonju, Jeollabuk-do, first learned of the poor educational environment in Myanmar when they were on a pilgrimage several years ago. Since then, the bhikkhunis have been gathering money, and contributed 150 million won (US$ 132,500) to help establish the school. A local philanthropist and residents also donated money, and some residents even volunteered to help build the school.